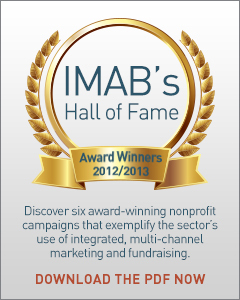 Send to Friend: Announcing the 2015 IMAB Integrated Marketing Award Winners! 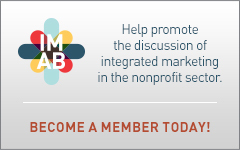 The individuals who post here are members of the Integrated Marketing Advisory Board. The opinions expressed here are their own, are not necessarily reviewed in advance by anyone but the individual authors, and neither Convio nor any other member of the Integrated Marketing Advisory Board necessarily agrees with them.